In PeerWell's previous post we discussed 3 Ways to Beat Sugar Addiction Without Willpower. Eliminating cues, managing stress and creating better diet habits are permanent changes you need to make to reduce sugar. That said, managing cravings is still the hardest part of the binge -> withdrawal -> craving -> binge cycle. In this post we will discuss what to do at times when craving spikes and you are about to reach for a sugar fix. The desire to consume food can arise from several places. You could genuinely have low blood sugar which means you should eat something healthy. It can also be that you are anxious or stressed and your body is pushing you get something that will make you feel better. In this case, rather than eating you should focus on releasing the emotions causing you to desire relief. The way to think about a craving is that you crave things that ellicit significant pleasure or relief. So significant, in fact, that this desire intrudes on your concious thought. If you find yourself struggling to focus on the task at hand, or visualizing images of cookies and ice cream in with thoughts of work you are probably having a craving. You have to act fast to avoid failure. Food craving activates brain circuitry involved in visual and experiential imaginination. Redirecting this circuitry to focus on non-food related tasks has been shown to surpress craving. Scientists have successfully surpressed food craving by having dieters focus on TV snow, guided imagery and non-food related scents. When craving strikes try doing a google image search on inspirational scenes and flip through them for a bit, or smell some perfume. Try washing your mouth out with Listerine to flood your olfactory senses. The craving will subside allowing you to make a healthier choice. Eliminating sugar does not mean starving. In fact, one of the biggest end benefits of cutting out the sugar is that over time you feel more and more satiated by less amounts of food. That said, you should not set yourself up to fail by starving yourself. If you are hungry, go ahead and have a snack- just have a smart one. A good snack is a single ingredient food that is high in fiber. The fiber will make you feel full and will even out the absorption profile of what you have consumed. Good examples include nuts instead of chips, fruits instead of candy and natural peanut butter instead of the processed stuff. For other ideas check out a company named Naturebox. They have 30 no-sugar added snacks to choose from. Eating the right breakfast will set you up for a well controlled day. If you eat a breakfast laden with sugary cereals and juices you will spike insulin making you more likely to binge later. Doing breakfast right right will help you approach lunch feeling in control and able to make healthy choices. This is because your body reacts differently to the same food at different times during the day. When you wake up your body is prone to spike insulin to give your cells energy. That is why it is essential that you do not give it sugary food to react to. The rules are breakfast must be high fiber, high protein and free of added sugar. Great options are eggs, unflavored yogurt, nuts, veggies and cheese. Last night's dinner (assuming it is healthy) is also a good option. You can also have intact whole grains like steel cut oats or shredded wheat with no added sugar. Dairy products like milk and butter are fine. Do not have a baked good which is just carbs, sugar and fat. Unsweetened coffee or tea are great, but no juices. One of biggest surprises for people is how sugary their favorite condiments are. Ketchup, pasta sauce, BBQ sauce, teriyaki, salad dressings all taste good because they are basically liquid sugar delivery vehicles. The good news is that you do not have to avoid sauces altogether- you just have to make smart choices. 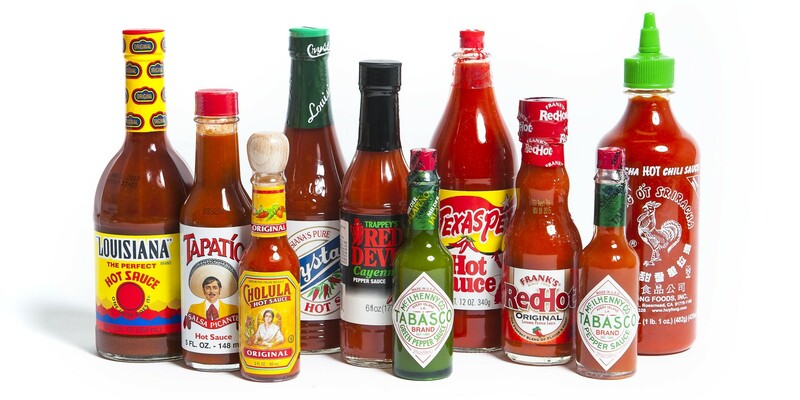 Good substitutes for sugary sauces include hot sauce, salsa, mustard, vinegar, hummus, butter and yogurt. Herbs and spices are also good options. Just make sure you check the labels on any multi-ingredient condiment to make sure there is no added sugar. If you are serious about kicking your sugar habit you just have to accept that sugary drinks are no longer a part of your life. This includes soda, fruit juice, sports drinks, energy drinks, slurpees, flavored milk, and sweetened teas. If it is sweet and you don't have to chew it, assume you should avoid it. Sugary drinks are dangerous because are quickly absorbed. Instead, you can drink water, club soda, sparkling water, milk, and tea. You can also put fresh fruit in your water for flavor. The data on diet sweeteners is still elusive so for now, that amount of sweetness is not something you want your palate to expect. Most people try to find ways to make better decisions when they cravings. The better approach is to take decision making out of the equation altogether. You will have weak points when you are weaning yourself off of sugar, especially if you are addicted. You need to recognize when these are likely to occur and plan ahead to avoid them. For example, if you snack when you get home from work try to make sure a meal is ready for you. Load up a crockpot that morning so when you walk in the door you have something delicious and nutritious to look forward to. If you don't have time to plan ahead for a meal at least make sure you have nutritious snacks available to hold you over. The trick here is to identify your weak points and plan ahead for them. You will experience craving. Learn how to recognize it and short circuit it by distracting your mind, making better choices and planning ahead. 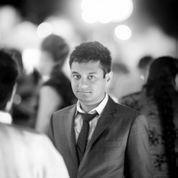 Navin is a Booth grad and a healthcare veteran with senior roles at P&G, Guthy|Renker and Danaher. He led health businesses ranging from hair care to pregnancy to diagnostics to dentistry.